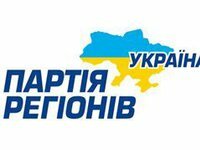 A number of parliamentarians have left the Regions Party faction. Verkhovna Rada Chairman and Acting President of Ukraine Oleksandr Turchynov, read the names of the members of the parliament who have left the faction. They are: Yevhen Balytsky, Oleksandr Bobkov, Oleksandr Vasylyev, Volodymyr Vecherko, Serhiy Horohov, Vitaliy Hrushevsky, Anatoliy Denysenko, Vitalina Dzoz, Oleksandr Dudka, Oleksandr Kozub, Vladyslav Lukyanov, Valentyna Liutikova, Yevhen Murayev, Volodymyr Oliynyk, Taisiya Povaliy, Oleksandr Ponomariov, Yuriy Samoylenko, Volodymyr Struk, Viktor Tykhonov, and Volodymyr Chub. Meanwhile, MP Oleksandr Hanchukov joined the ranks of the Communist Party faction.